Let’s take a close look at sales funnel stages and how to properly structure each phase to maximize the bottom line of your business. Sales funnels have become a very hot topic in the world of Internet marketing. With the advancement and continual evolution of marketing online there are many marketing experts, software, and tools that help entrepreneurs build sales funnels online. Savvy entrepreneurs are tuning in to learn more about the various sales funnel stages in the process of building profitable relationships with their target market because it’s the key to attracting endless traffic, leads and sales. Fill in the blank PDF from our free Template Pack that you can use to map out your business funnel throughout this article. However, though I see a lot of conversation on the topic of sales funnels, not many are correctly applying what they've learned. Thus, when I look at many landing pages, websites and marketing systems, I invariably come across far too many that have sizable gaps, blockages and leaks in their sales and marketing funnels. That's why this article takes a deep dive into the sales funnel stages you should be implementing in your business. You’ll learn what you need to do in each of these stages to attract more traffic, more leads, more sales AND referrals for your business. You may be wondering what a sales funnel is. 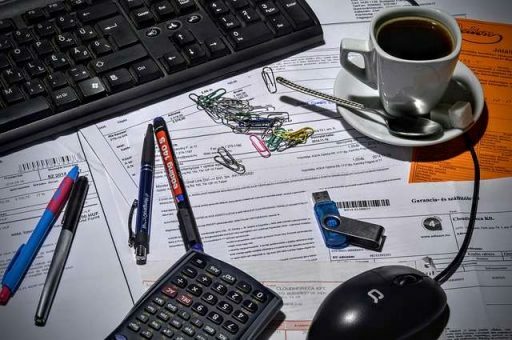 Sadly, too many online small business owners haphazardly generate new sales through compromising consistency, quality or stable margins – which leads to the proverbial hand-to-mouth, paycheck-to-paycheck lifestyle. That’s the equivalent of living like a hunter-gatherer. And the business owners who do focus on developing a systematic marketing process still, usually, have huge gaps, blockages and leaks that go unnoticed because they’re not keen on the inner workings of each of the sales funnel stages that impact their bottom-line. Throwing money at it won’t plug the holes. 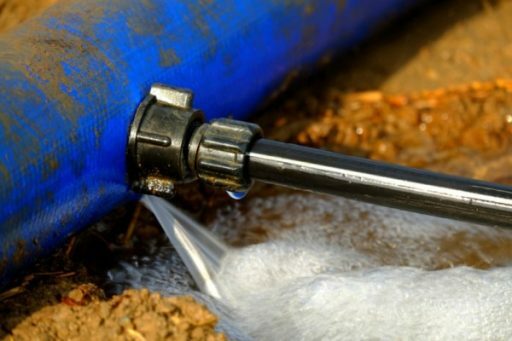 Instead, it tends to weaken the foundation of the core profit generating business activities just as increasing the water pressure on a broken pipe won’t make it stronger. The result of this is a very noticeable lack of growth or a plateau they can’t seem to break out of no matter what they try. Building a business in the new economy, primarily online, is tougher than it was back in the day of small town brick and mortar businesses. You see, relational trust is harder to establish with the barrier of the Internet than it was when business owners were selling, face-to-face, to customers. When passersby walked down the sidewalk and smell the irresistible draw of meat smoking on the pit, when those cute outfits grabbed your eye and you walked in to browse the racks for the perfect summer dress, and when prospects could look the shopkeeper in the eyes and get answers to all their questions, it’s easy to see how those businesses earned the trust of the market and grew. This in-person environment accelerated the progression of the necessary relationship stages yielding trust, intimacy and repeat business. As you should know, when you make a sale, the customer is ultimately buying YOU! Getting to the point of sale is difficult online due to the above reasons but also due to the fact that people have an inherent distrust, skepticism, and apathy regarding your product or service when they first find you. 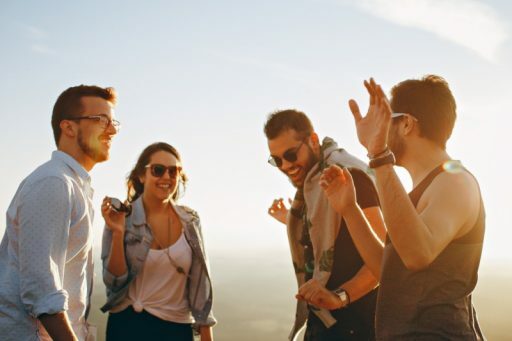 So how do you build a warm and friendly connection with your target audience that leads to continually growing traffic and sales through a flat screen… and do it while you’re sleeping, out of the office or out of the country for that matter? The answer – you must understand and install a winning sales funnel into your online business! With a good understanding of each stage of the sales funnel you will guide massive numbers of people from being ice cold prospects to being blazing hot customers and brand evangelists of your business. 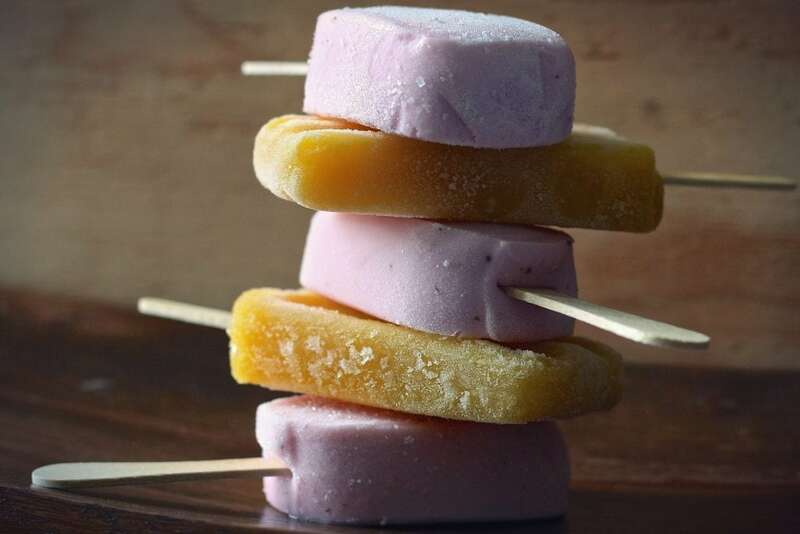 Referring to this sales and marketing process as stages of a pipeline breaks the myth that all it takes to stuff your pockets with money is a single linear structure made of popsicle sticks sitting on top of each other. In other words, you will build authentic connection and relationship with your target audience and overcome the inherent distrust, skepticism, and apathy they have when they stumble across your landing page, blog post, social media page, ad, video, press release, you name it. Let's identify the various stages of your sales pipeline or sales funnel and discuss how you should be engaging with you target audience at each stage. As a framework we will be using some tools I use to help clients, including the customer value journey developed by our partners Digital Marketer and my customer optimization process maps, which will give you a better understanding of how you can install a winning sales funnel with all stages represented, in your business. Diagram of Sales Funnel Stages from The Digital Navigator showing the importance of consumption and the myth of one-size fits all traffic campaigns. For the sake of putting this discussion on the stages of a sales funnel into terms that everyone can relate to, I will try to relate it to the development of a romantic relationship. The first stage of any relationship is awareness. Think about it, the love of your life didn't always know that you even existed! How he or she ever got along without you is anybody's guess, but that's another topic. Do you remember the first time you met that special someone? Was it in a bookstore, an ice cream shop or at a summer picnic? 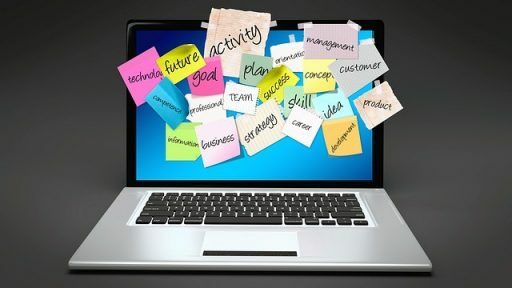 With your online business you want to maximize the opportunities that people have of becoming aware of your existence. In other words, you want to maximize your Internet footprint. Whether people are searching Google, browsing content on Facebook, or are looking for a good video on YouTube, you want people to stumble upon your helpful, valuable and entertaining content. This is why content marketing is so powerful. Content marketing is the practice of publishing and syndicating information online. Sales funnels move in stages. If you imagine funneling oil through a siphon down into a small tube into your engine, the top of the siphon is where you pour the oil. So, we may think in terms of top, middle and bottom of the sales and marketing funnel. At the top, we attract cold traffic to you by sharing free content. This is just a partial list of content types that you can pick and choose from to start creating, publishing and sharing on various authoritative and well trafficked platforms online. For instance, you can start building awareness that you’re a personal development coach by sharing free valuable advice through articles that you publish on authoritative site like Oprah, Buffer, Psychology Today, Facebook, LinkedIn and, of course, your own blog! This content should be freely accessible for people to consume without any barriers. In other words, you need to build a huge authoritative body of ungated, freely accessible content that is super valuable and relevant to your target audience in order to build a steady stream of traffic to your business website. The higher the volume of free, valuable content you share, the higher the volume of traffic you generate your business website. There is a direct correlation between the amount and quality of content provide and the number and quality of new traffic you generate. Your awareness content must be laser focused! This is where businesses often get bad advice from experts they trust. The emphasis on quantity overrides the quality and precision of the awareness generating content. You should be suspicious when you are pressed to publish content like rain drops falling during a storm. Your top of funnel content needs to demonstrate your expertise and transmit actual value for your prospects to move at the next stage of the relationship. A person can get 1,000 bad dates without exhibiting depth of character but its unlikely they will move any of those relationships to marriage. Refine your customer avatar and truly understand their desired end goal. Then map out themes that will define your sandbox for content creation. Compile the search terms and keywords that are most popular within these topics to generate awareness content that delivers the most value for your time and effort. So, what happens when you start generating a lot of traffic? Most business owners do nothing but hope that these cold web page visitors purchase your products and services. And in a relationship this is having the expectation of meeting someone for the first time ever and then running off to get married the same day. Sure, it happens, but rarely, unless you are in Las Vegas ? ... The same is true with your business online – you may sell to a small percentage of cold traffic that same day, but rarely. You need a mechanism to convert cold traffic into warm prospects. That's why you need an entry-point offer. For a relationship between a couple to go from just meeting one another to dating there is usually a slighter deeper engagement experience. Maybe you spent hours together with a group of friends at the picnic and realized there was chemistry. When you realize there is chemistry and value in this person, what's the next step? Ask their phone number, right? You want to capture their information so you can build a friendship together, right? To develop a friendship you eventually need to get their phone number or contact information and the same is true for nurturing a relationship with your prospects. 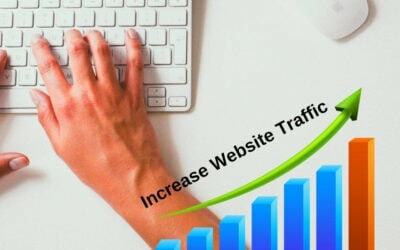 With internet business marketing, most people who do a great job of traffic generation totally miss capturing a higher percentage of that traffic with entry point offers. … or they lose all their manners by obnoxiously hounding their visitors for their contact information with quadruple pop-ups, auto-play videos and dropping a mountain of cookies on them like they were starving. The part about cookies was a joke, but I’m sure you get the picture! The only way to capture a person’s contact information, namely their e-mail address and maybe their first name, is by giving more value for something that you know they want. Since this person came into your website on a certain blog page, looking to learn more about a certain topic, then you should be sure to offer them a higher-level of related value in exchange for their contact information. The way to do this is through an entry-point offer. This entry-point offer from ElysiaHartzell.com is in alignment as her content helps spiritual practitioners deepen their gifts, reach self-acceptance and be confidant in their art. 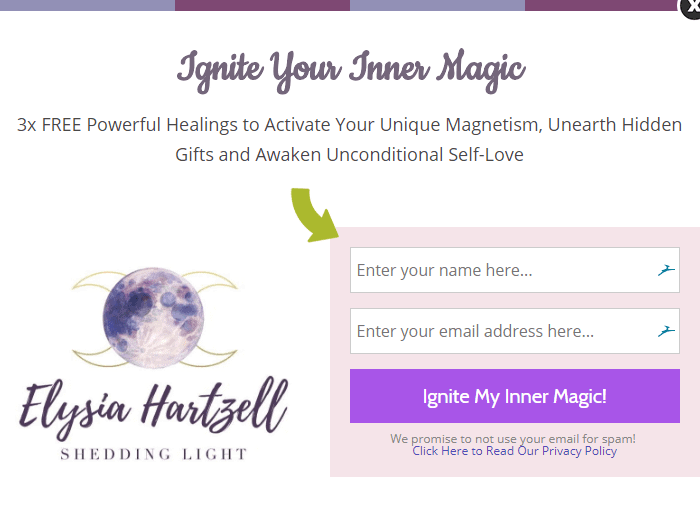 When doing a Google Search for Theta Healing, Sacred Soul AlignmentTM and developing skills as a spiritual practitioner I clicked on the results and landed on a website by ElysiaHartzell.com. As I read through her website resources I came across this entry-point offer in line with the body of the content promoted on the page. Elysia routinely broadcasts Facebook Live videos with wellbeing and professional development techniques for practitioners from which you can click through her page to a landing page with this same entry-point offer. 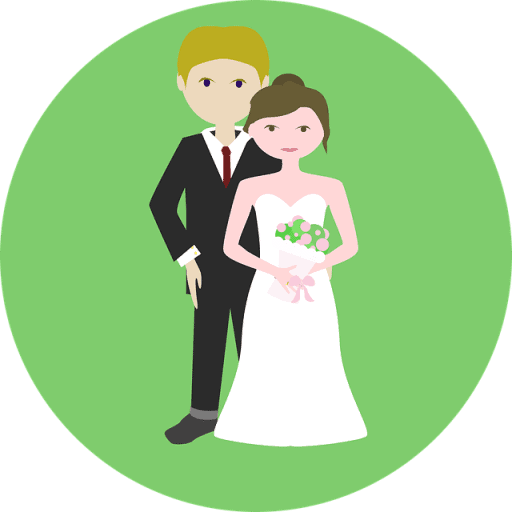 This image is an opt in widget created with a favorite lead capture tool of mine, OptinMonster, used to take the relationship to the next level. The visitor came to the site just to learn different ways to sharpen their professional practice and as they read down the page they’re offered the opportunity to get more of related value. This type of offer takes the relationship to the next level. This 1-2 combination takes the relationship from being cold and cordial to warmer because the free audios provided are highly consumable and deliver a jaw dropping transformation which leaves people wanting more. Once you get the person's contact information you can move the relationship forward towards one that puts money in your pockets. Effective lead magnets need to be naturally appealing to your ideal customer, they are ultra-specific and easily consumable. 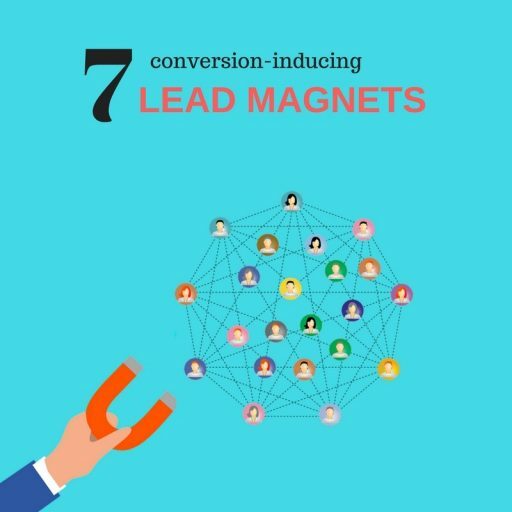 This content is popularly called lead magnets. A good lead magnet will be a piece of content that is easily and highly consumable. But the relationship is just starting sparking into a flame. There are a certain percentage of your target audience that will prove to become ideal customers. These people will not just consume your content on your website, read your e-mails, like your posts on Facebook but still never purchase. Instead, they will move from blog reader or Facebook follower to e-mail subscriber and ultimately repeat customer who refers lots of business to you. So, once you have gained a new e-mail subscriber your job is to continue to pursue, in terms of a relationship, "marriage." Gaining an e-mail subscriber is good but still not ideal, because this new subscriber still has not bought your product or service. After all this is a sales funnel and we need to close some deals to justify creating the necessary assets. If they signed up to receive a two-page weight loss guide but instead they received a video asking them to buy into your weight loss coaching program this would be called good old-fashioned bait and switch. It would kill the relationship instantly. So, you must deliver what you promise to deliver with your entry-point offer opt-in widget. However, this does not mean you can't make another offer in addition to delivering what you promise. 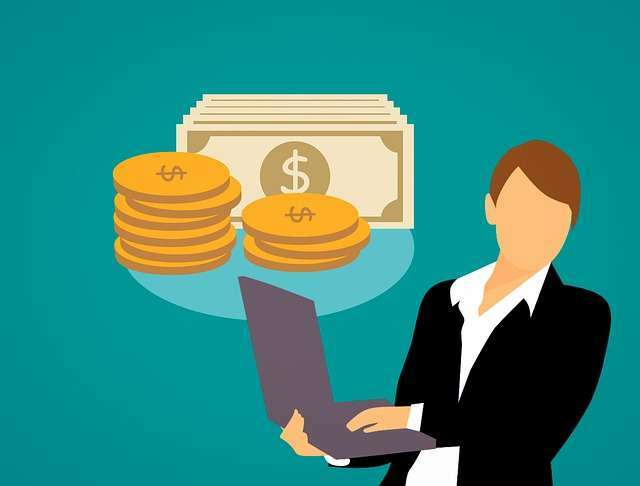 Since they have already shown interest by reading content and then signing up for another piece of gated content, you would be wise to make a low-priced offer to win them as a new customer, which can be a few dollars to thousands of dollars based on your industry. That's what we do with the entry point offer part two. If you have higher-priced products or services such as coaching programs, consulting services, certification courses, video courses, or other higher-priced products, programs, and/or services two-part entry point offers are a great solution for you. At this stage you move the relationship from a top of the funnel relationship to a middle of the funnel relationship. 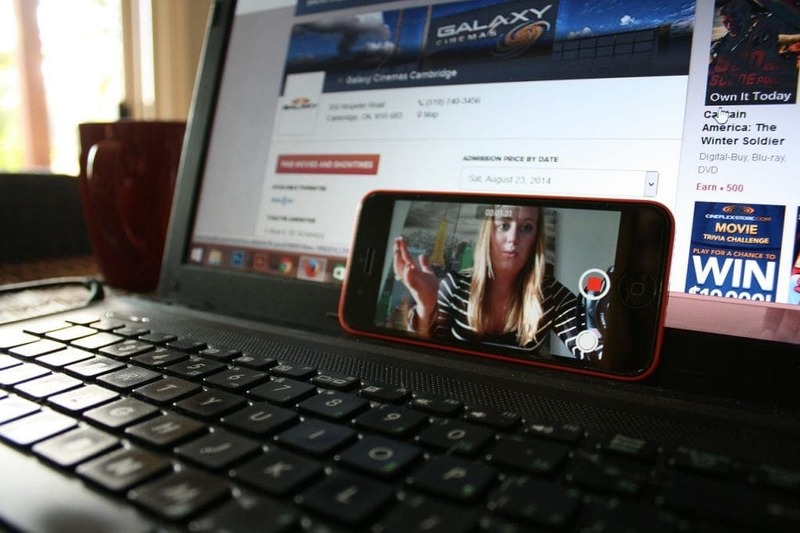 A webinar, mini-course or livestream events are powerful ways to convert your warmer leads into paying customers. 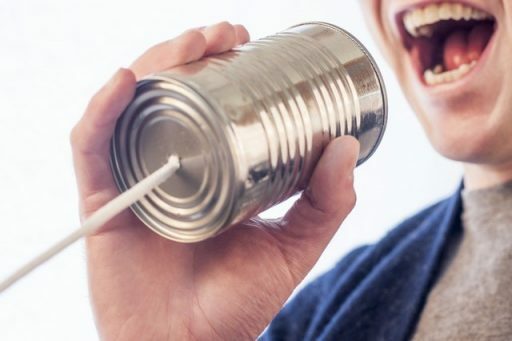 As with every stage of your sales funnel it's important that you seek to create high-value content that is highly engaging and easily consumable. The more your traffic interacts with and consumes your content the more likely they are to become customers. It's also important to remember at this stage that you are looking to convert the lead into a customer so while it’s important to deliver valuable content you should equally try to sell. This means you should include information to handle common objections. It's a bit of an art and science to do this effectively, which is why copywriters usually help with creating sales conversion tools such as webinar scripts, stage presentation scripts and long-form sales letters. The better you are at creating a winning presentation with your entry-point offer part two, the higher your sales conversions should be. When you break off a piece of a bigger offer that you sell, you are making a splinter offer. At this point you enter the stage of your funnel where you ask for the sale. This is really useful in cases where you have a larger program that you want people to buy but you know there will be price resistance. So, you can splinter the offer and instead, sell a section or units at a time. Let's say you have a certification course that you charge $2,000 for. It takes a lot more credibility, and market positioning to sell at this price. It's much easier to fragment your program into four smaller courses that are sold for $495 each. Even if you're selling a master course for $1,000 you can pull out one of the most popular modules and turn it into a splinter offer, or standalone class that you sell for $95. That's an easier sell than the full $1,0000 course AND much easier to sell them into the full course once they've consumed $95 mini-course. $7 offers, $11 offers, $37 offers, $97 offers, $297 offers are all price points used in making high converting splinter offers. These price points usually represent 10 to 15% of the price of the core product offer they are splintered from. 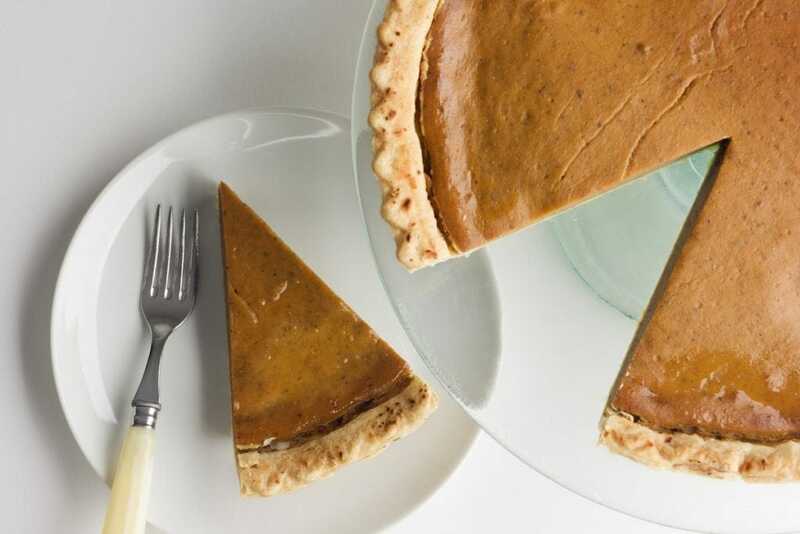 Ordering a piece of pie doesn’t take much forethought… and the next thing you know you’re bringing back the whole pie for the next family diner or celebration! It's important that your splinter offers make a big positive impression on your new customers. In my business, when I get a new client I send them a personalized letter and any other appropriate materials in the mail. I don't tell them I'm sending it in and they are not expecting it, so it makes a big impression on my new clients and creates that “WOW” factor. So, think of anything you can do when you deliver your first paid product or service that could create that wow reaction. The goal is to stand out, to show you truly care and go above and beyond what your competition is doing. Just like in the dating world you want the other person to keep thinking about you after a date, how they had an incredible time with you and how special you made them feel. You have now wooed your new prospect to the bottom stage of your sales funnel. Let's face it, up till now you have eased your way into a romance with your new lover. In other words, you have converted your business prospects into customers with high value awareness content, entry-point offers and/or splinter offers which bring in some money but probably just enough to cover your business expenses. Now it's time to profit. The profit maximizer stage is the bottom extremity your sales funnel. This is where you drop to one knee, pull out the ring, show the sincerity in those bright dreamy eyes of yours, and ask for your customer's hand in marriage. Every expecting couple wants their baby wants it to be the most beautiful in the world; a million-dollar baby. At the profit maximizer stage, the baby you’re looking for is profit…a million-dollar baby! Before you go any further, don’t lose sight of your values, continued excitement and making this win-win otherwise your business relationship will end in divorce. If you have sold a splinter offer that was one fourth of your core offer, here you offer the remaining three modules of your course for the same dollar amount your complete course sells for. To put that another way, if your course sells for $1,000 and your splinter offer sold for $249, you need to sell your profit maximizer offer for $749. To sell this, you can invite splinter offer buyers to another free class where you sell them into the $749 program or some other engaging sales mechanism. At The Digital Navigator we found that for online courses you can get better results by monitoring the progress of your customers. If your system detects they aren’t moving forward you send them encouragement emails and other means of communication to help them graduate. As they complete milestones you adapt the messaging of your communication to inform congratulate them and recommend their next best step. This can be the complete program, a complimentary course, personal coaching, an in-depth service or a membership continuity program. Want to Profit Even Faster? If you want to boost your profit even more (and who doesn’t? ), there’s an extra step you can take at this stage. It’s sort of like a Profit Maximizer PLUS. You and I both know it’s easier to sell to an existing customer than it is to acquire a new one. When someone decides to buy from you, they trust you. In fact, they trust you in that moment possibly more than they ever will. This is the perfect time to introduce a post purchase One Click Upsell. When your customer makes a purchase, instead of seeing the thank you page, you’re going to show them a one time offer they can’t get anywhere else. In our example, you might offer a discount on another course. Or you might offer group coaching. Not everyone will take you up on this offer but what you’ll find is that your average order value (AOV) will increase. That means you’re making more on every purchase. And that’s a no brainer. We use and recommend One Click Upsells for WooCommerce. All the work you have done this far should be done with absolute excellence. Aim to deliver above expected value every step of the way, from the top to the bottom stages of your sales funnel. When you finally turn a profit on this new customer, you reach the last critical stage of a solid online business building sales and marketing funnel. The advocacy stage. This is where you seek to transform your new customers into brand evangelist by leaving positive reviews, giving raving testimonials, case studies and referring friends. This is the power of tried and true word-of-mouth marketing working at its best. Creating rabid fans through outstanding service will multiply the impact of your marketing efforts many times over. However, instead of hoping that out of the kindness of their hearts or the excitement in their souls that they refer you and leave reviews online smart business owners systematically seek out referrals, testimonials and reviews. To systematize this process you might send out an e-mail once your new client has likely consumed your product or service. If you use a progress tracking system like we previously discussed then you can get perfect timing almost every time. I have a client, HospitalityFan, who does reputation management services for companies. So, businesses that want Google, Facebook and Yelp reviews from customers use his service. Customers are funneled into one system where they can leave reviews using his system. He has systematize the process of creating advocates out of customers, often within hours of a customer’s visit to a restaurant or business. The new customer should produce another customer. This ensures that your business continues to grow even without increasing your advertisement dollars. Throughout every sales funnel stage you should be monitoring the traffic you generate with you tracking software and analyzing the engagement of your traffic in each phase. You should set up automation software and triggers that seek to engage traffic that does not convert after a reasonable amount of time. If you make a special offer that expires 48 hours then you should have an automation set up to re-target these non-responders with a lower-priced offer that re-engages them. 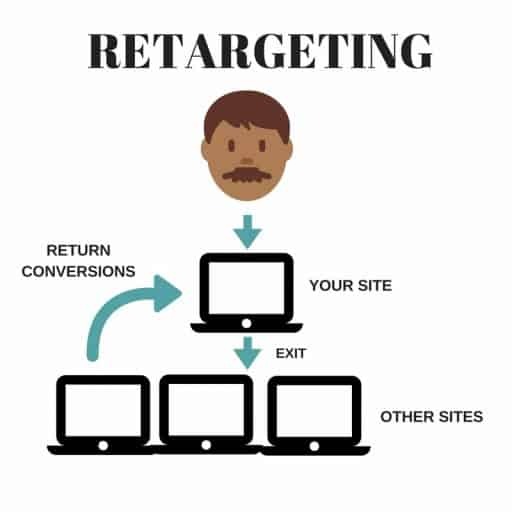 Retargeting strategies allow you to recapture visitors and convert them into paying customers. While paid retargeting strategies can be extremely complex and granular you can get good results by simply adapting your communication to cold, warm and hot leads. You can also segment your email list to send content adapted to each stage of the marketing and sales cycle. This should be mirrored throughout the business assets you create. If a person is a regular reader of your blog and they’ve downloaded you checklist make a pivot in your message by inviting them to your next masterclass or webinar. Once they’ve purchased validate their decision to get them excited. If you have a Facebook Group from which you routinely host live videos don’t be afraid to promote your paid program and drive traffic directly to your sales page. I’ve seen this all too often when businesses pay a substantial chunk of change to a promoter which organizes a paid advertising campaign, usually on Facebook, that leads ice cold traffic to a high cost offer without any warming up process. You’re walking down the grocery isle when you see a nicely dressed professional at a kiosk. You decide to engage in conversation with them and the next thing you know they are attempting to sell you a $75,000 car. In other circumstances you might have actually bought that car, but given that you ran into this person while doing your errands and know very little about them you can’t help but wonder if it’s a scam. The fact that you were actually looking for a car wouldn’t alter your perception because of the context. Car companies know better than this which is why they create brand awareness and they take you for a test drive before going for the sale. When they are running advertising on TV their expectation isn’t that you will immediately drop what you are doing to call and place an order. They are warming you up to the brand, to their security features, to the status it conveys and other benefits of owning the car. Don’t waste your dollars on campaigns that try to get a phone order for a car. 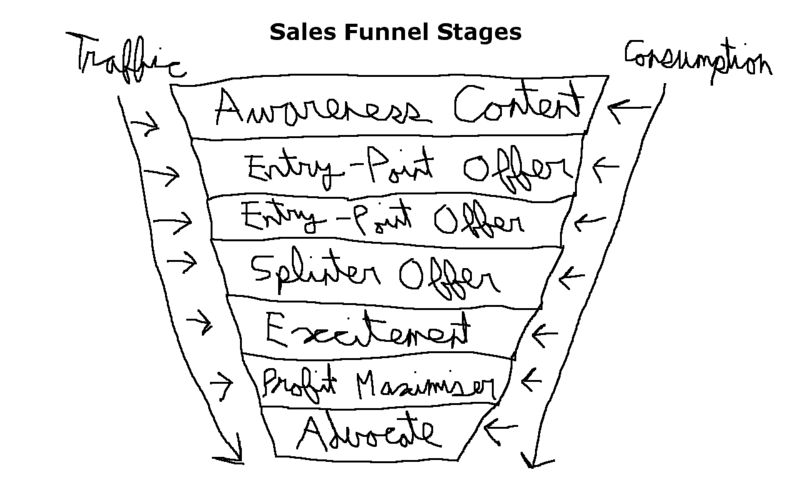 It's important to get consumption of your content at every stage of your sales funnel. Starting from the top, you want visitors to consume your blog post, video, or podcast. You want new leads that signed up on your mailing list to receive a checklist to consume that checklist. When people attend your webinar training, how does it feel when you see massive drop-off less than halfway through? You inherently know that if they dropped off they must not like the information or they are too busy to keep going right now. Either way you know they're likely not going to buy your product or service – after all, they had not waited until the end to even hear the pitch. If a person has bought a ticket to your conference but never showed up then you should offer them a free ticket to your next event to give them another opportunity to consume your information. The reason you would still push them to consume the information even after they have bought is because without consumption they will not progress to the next sales funnel stage. So, a customer who buys your product or service but does not consume it will likely not become an advocate for your business, nor will they become a repeat customer. At The Digital Navigator we like to say that consumption, retention and upsells come as a package deal. You should take what you have learned here and get out a hand pen and piece of paper and start brainstorming what value you can offer that exceeds expectation in each stage of your funnel. When you have valuable content placed in each stage of your sales funnel then you need to produce the content needed. Once your content is produced then you need to publish that content. Next, you should integrate this content so that from the top to the bottom of the funnel customers can flow and consume your information without a hitch… but make room for flexibility knowing that people are humans. You will likely need a few assets for each stage of the funnel. This creates a robust sales and marketing system with a solid foundation instead of the 1:1:1 funnels that put your business at risk if any of the pieces were ever to break or an inaccurate assumption were made. Time to map out some serious business funnels and sale systems. 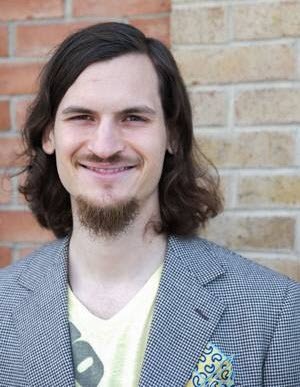 Awareness Content: Highly targeted SEO and niche expertise blog articles and podcasts. 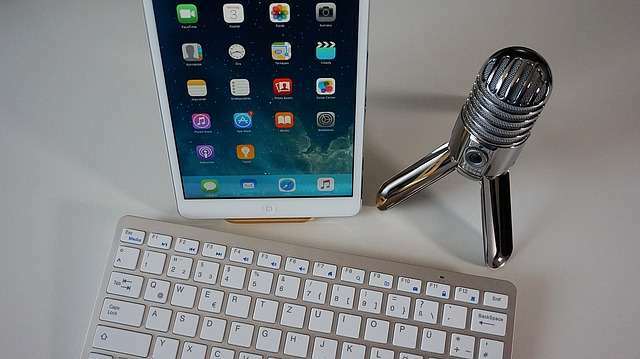 You might produce blog posts and podcast episodes once or twice a week. These blog posts and podcast episodes should share valuable content that your target audience wants to hear. The more actionable the better! The goal that you have in your content is to become known, liked, and trusted by your target audience. 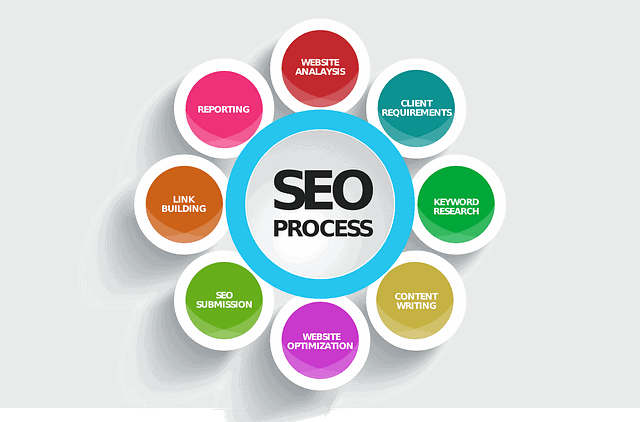 If these blog posts are SEO optimized and found then you will begin to build traffic. It's important that you make an entry-point offer in every piece of content you produce. Entry-Point Offer 1: White papers, case studies, checklists, list of resources. 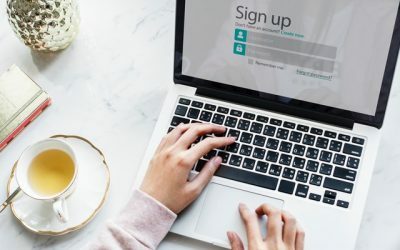 In order to get people to opt in from your blog posts or podcasts so you can secure their contact information, you might offer a short checklist they can use to achieve a specific goal. White papers and case studies are optimal for consults and businesses in the B2B space. Entry-Point Offer 2: Masterclass / webinar, mini-training series. Now that you have their contact information you must certainly deliver the piece of content promised to deliver that prompted them to opt in, but you don't stop there. Instead, you invite them to ascend to a higher form of content that is more involved – your webinar training, video training series, Facebook live event or another conversion tool. An invitation on how to make a funnel webinar is also irresistible. Splinter Offer: Initial consultation on a specific topic, productized programs. At your masterclass or webinar you need to make an offer. Some coaches, content producers and consultants have productized programs that sell for price points that are easily affordable. If you have a productized program that is priced under $200 then you can sell people into this program fairly easily. If your program is priced at $2,000 or more you should consider splintering your offer so it may fall into the easily affordable price and under that $200, threshold for your sales to be optimal. Remember that the exact price points vary by industry. Another option is to invite your leads to qualify for an initial consultation call promised a specific result. Don’t make this vague and avoid general strategy calls. What unique result or insight can you provide in a short amount of time? During my immigration process I remember my wife calling a lawyer that freely gave away advice on the exact process we needed to follow. By the end of the call she was pitched a $3,500 done-for-you service. Luckily I have a good grasps of legal documents and legislation with my CPA background and was able to complete the paperwork myself but for most people this offer makes total sense. The concept of online sales funnel plays an important role for CPA's. For coaches and consultants, once you perform the initial strategy, diagnostic or tactical plan you can present a couple of options for working which includes different levels of effort. Personally I do detailed plans that my clients can deploy themselves with their teams while having a discussion of how we can help them get results faster and easier. When using this approach be careful to deliver an incomplete solution as your splinter offer since it should deliver value that exceeds their expectations to generate that excitement. After all, a half-bake product or service never leaves a good taste. For lawyers, CPAs and other service professional this is the time to win the engagement. The goodwill and trust earned so far will help you seal the deal. Some of our clients offer in person retreats. Reaching out to current and past clients is a sure win approach to getting reservations while ensuring you will have a killer event. Don’t be afraid to send out invitation letters and giving them a call. Advocate: Reviews, affiliate referral programs, testimonials and case studies. Asking for video and written testimonials should come naturally after one of your clients shares a big victory with you. It’s better not to wait as they will be able to provide more details about their experience and the measurable results they achieved in working with you. When selling online, most platforms allow you to create an affiliate program which will automatically track referrals. Providing a financial incentive as either a percentage or a fixed amount gives that extra motivation for your business to stay top of mind. The affiliate commission cuts down on your marketing expenses which should preserve your profit margins. You can setup your own sales funnel using affiliate products. In that case just build a small funnel. This could simply consist of blogging or posting on Facebook at the awareness stage of the funnel. Podcasting is also another viable option. Sales funnel is important for your business, you must also know how to apply it to your podcast. Since you are establish a new area of business development you will want to increase the frequency of your publishing calendar while focusing on one or two channels. 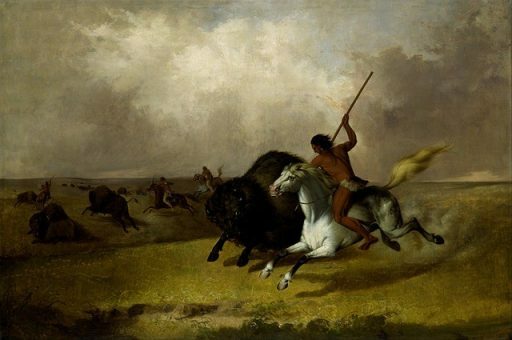 Better to dominate in one medium than to dilute your efforts across a myriad of platforms. Then you can go straight for the sale with an entry point offer such as a masterclass where you sell people into your coaching program or course. If you have a knack for sales you can invite people to a strategy session or a discovery call. If you choose the free route for these than you will want to have a strong qualification process such as an application form to avoid wasting your time. The other path is to charge a nominal fee for these sessions which tend to increase the close rate. Many coaches, consultants and content creators start off just like this with a small funnel while others use it to expand in a new vertical market while limiting their capital risk. This can add a new revenue stream to a high five figure business. Awareness: High quality long form article or regular blogging with targeted SEO. Determine the niche market for your new revenue stream, carve out the avatar profile and document their desired transformation from the before to the after state. Regardless of the size of your business this is an exercise that reaps many benefits which is why we always do this during our marketing makeover work session. Once you have a crystal clear image of the biggest challenges and the desired end goals of your ideal customer you can begin the research process. Put yourself in the shoes of your ideal customer and make a long list of all the search queries they might use. Then according to your budget use a tool such as the Google Keyword Planner (free), ahrefs or SEMrush, or hire a consultant to provide you with an in depth report of the most profitable keywords. The goal is not to go for the keywords with the highest search volume. Instead you want to assess the volume, click through rate and difficulty of beating your competitors for a coveted spot at the top of the search ranking ladder. The Digital Navigator can help you sift through this data by placing our combined analytical CPA expertise and marketing know-how at your disposal, reach out to us at help@thedigitalnavigator.com. Your next step is to produce long form articles and blog posts. We recommend creating a few pillar posts with 4,500+ words which will serve as authoritative resources. These establish your expertise, are highly shareable and build a home base for your organic search ranking. Start with one our two building your way up to six pillar posts. Surround these longer content pieces by smaller 1,500+ words articles. These will link back to your goliath work of penmanship while making it easier to publish on a frequent basis. To find relevant topics refer to your keyword research and expand on areas of your pillar posts. SEO plays an integral part in your business sales funnel stages. Entry-Point Offer 1: Checklist, cheat sheet, case study, white paper, guided audio or swipe file. Each of your pillar post and longest form asset should guide the creation of these assets. To kick things off you design one or two of these downloadable resources behind a widget which collects the email information of your leads. To respect a lower budget use the native tools of email autoresponder software such as ActiveCampaign, Aweber, MailChimp or Drip. If you have a few extra dollars to spare combine this with a professional list building software like ThriveLeads or OptinMonster. Don’t overthink this. This gated resource should be useful, easily consumable, demonstrate your expertise and be a natural extension of your content. Make your checklist, cheat sheet, case study, white paper, guided audio or swipe file available throughout each of your articles and blog entries. Entry-Point Offer 2: Masterclass / Webinar. Your masterclass or webinar should sell people straight into your core offer. This core offer should be profitable for you since it's your bread-and-butter deliverable for this business or revenue stream. In other words, this should be a profit maximizer. It’s perfectly acceptable your presentation call-to-action to be to schedule a meeting with you from which you will close the sale. This doesn’t give you permission to forego the principle of value first. Always reward a person’s time investment. The masterclass should be advertised directly throughout your blog entries. Don’t be afraid to present your entry-point offer 1 and entry-point offer 2 within the same article, especially if it is the longer form. I like using OptinMonster as it enables you to present a different opt-in once people complete a certain action. For example if a person requests your checklist the next time they visit your site they will can be presented with an invitation to a masterclass. You can also send email invitations to join your masterclass or webinars. In theory people on your email list are interested in what you offer and are at least receptive to what you have to share. This will translate in a higher signup rate, attendance rate and closing rate. There are hundreds of tool you can use for building your sales and marketing funnels. I compiled a short list of the types of software you will need to cover the basics. I prefer integrating the best tools for each jobs rather than using all-in-one systems like ClickFunnels. Website / Web page builder – WordPress, Zoho, LeadPages and ClickFunnels are examples of web platforms you may use to build a website. I recommend WordPress for its flexibility, ability to organize content in a way that ranks you high on search engines. You can host it in the environment of your choice and leverage premium hosting services to get top loading speed which will improve your site ranking, user experience, traffic and conversion numbers. Page Builder – If you use WordPress you will want to add a theme and a page builder plugin to create funnel pages quickly. This cuts down your development cycles and costs. Popular themes are GeneratePress, Genesis Framework and Divi. Page builders include Thrive Architect, Elementor, Beaver Builder and Divi.Themes and page builders have mixed opinions among the expert community.I prefer to rely on data and performance to make decisions which is why my vote goes to Divi. This short Trumani article offers perspective on this topic while codeinwp does an extensive comparison of Elementar vs Divi vs Beaver Builder. We also have good success working with Elementor and GeneratePress on client projects although the loading speed is slightly slower than our number one pick. Email Autoresponder – You need to sign up for an email automation tool so that you can collect new leads and communicate with them via e-mail. ActiveCampaign, Constant Contact, Klavio, Drip, Infusionsoft, Ontraport and MailChimp are examples of such tools for different budgets.You want to use a software that allows for tagging and segmentation. This level of organization empowers you to send specific communication which will increase your customer conversion rates. We’ve used many of these and have found the best results using ActiveCampaign which provides the necessary features without overwhelming our clients. Integration – Sometimes you need glue to connect different software. Zapier is a tool you can use for integrations that your other platforms don't normally make by weaving together 1,000+ software. For ActiveCampaign users you may want to look into ActiveMember360 which is a membership plugin at its core but it does so much more! We use it to sync our WordPress, Checkout, training sites, membership sites and ActiveCampaign systems in real-time. Lead Capture Tool – Many email autoresponders are limited in the opt in form options for you to collect information on your leads. Tools like Thrive Leads and OptinMonster enables you to create unique opt in forms. They also give you additional functions to capture more leads, such as a pop up that appears when a person leaves, mobile specific forms, forms with a yes/no option and evolving offers to returning visitors. I’m a huge fan of OptinMonster as it has all the cutting edge features. Google Analytics – You need to set up Google Analytics on your website. This free tool enables you to collect data about how visitors interact with your website, who they are, where they are coming from and the actions they take. Even if you don’t interpret this information yourself you will want to start collecting it to build your dataset. You can’t optimize what you don’t know. Facebook Pixel and Advertising Pixels – You need to set up these pixels on your website if you ever plan on running paid advertising campaigns. 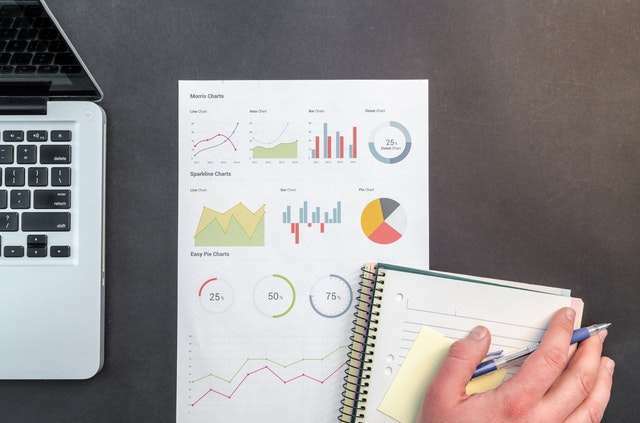 This allows you to collect metrics on your paid campaigns, optimize them to reduce advertising costs, retarget visitors to drive traffic at the various stages of your sales funnel and create customized audiences. Any worthwhile paid advertising platform will provide you a code to enable these functionalities. A good online business needs to create a sales funnel stages to convert visitors into paying customers. 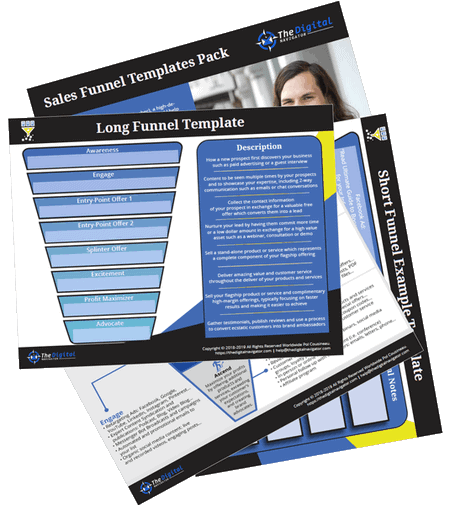 If you want more help than you can use our sales funnel template to build out the stages of your sales funnel. This downloadable template pack makes it quick and easy to map out the assets you will need. It also includes the examples from this article. Download the pack and work with the PDF that is most relevant to your business project. If you have an existing Small Funnel or more complex sales system than start by filling in the template with your assets. Then identify the weakest link and document an asset to plug that hole. If you don’t have an existing funnel, then start filling out the Sales Funnel Stages from the top down. To increase your lifetime customer value with your existing clients, you can create a small funnel that will further solve additional challenges they are facing or provider faster results. Review the stages of your sales pipeline to narrow your focus on the customers to whom you can deliver the most value quickly. I hope you find this article valuable and useful in helping you build a winning sales funnel at every stage. Great article! I wish that someone can explain to do this with chatbots. I know that chatbots bs emails have their upside like privacy. I also like to know how I can do a great sales funnel with Facebook and Instagram and Twitter? Hi Marlon, the fundamentals are the same regardless of the medium used for the sales funnel, whether that is Facebook, YouTube, Email or ChatBots. Obviously there are some nuances and we've had great results using Facebook Ads that leverage Comment to Messenger ChatBots. We'll be releasing an updated Infographic on Marketing Funnel Stages that shows you where you may want to use some of these tools in your marketing strategy. If you have an existing business with a product or service that has generated sales I recommend that you get in touch for a consultation. We'll be able to go in more depth about your business and see if our strategies align to help you grow. I've also taken note of these topics and may release a follow-up article on sales funnels within the context of Facebook and ChatBots. [Video | Guide] Getting a website for your business is not enough. You need need a constant flow of relevant traffic and leads... which is exactly what we cover in this series. The best 10 minutes you can spend to help you bring more leads and clients into your business with a landing page and other alternatives. 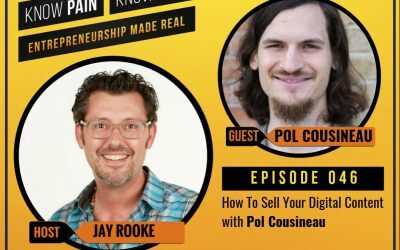 In this interview on How to Sell Digital Content between myself and Jay Rooke, host of from the Know Pain Know Gain podcast, you’ll hear some wisdom nuggets on how business owners should be thinking about digital marketing.